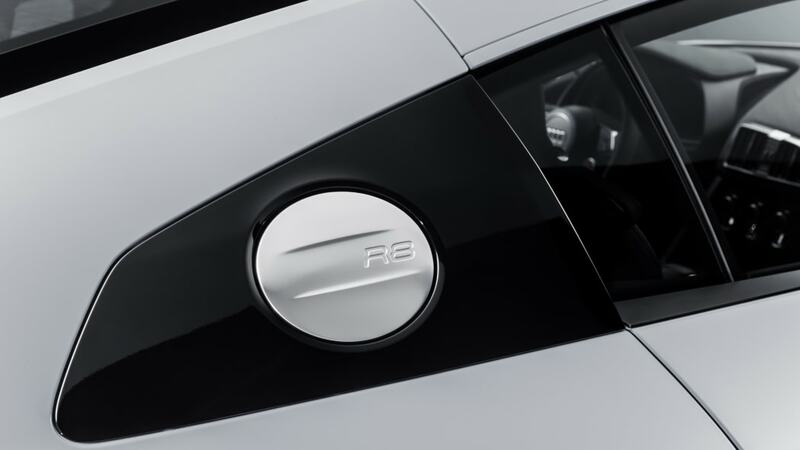 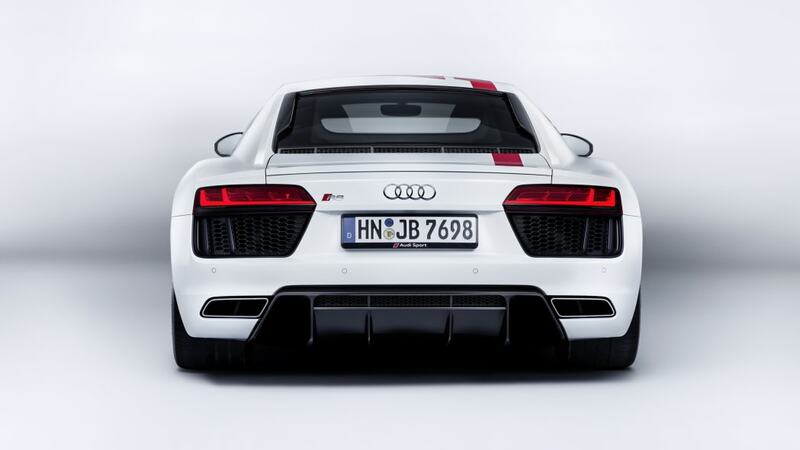 The Audi R8 RWS (Rear Wheel Series) bundles two large surprises in its compact aluminum frame. 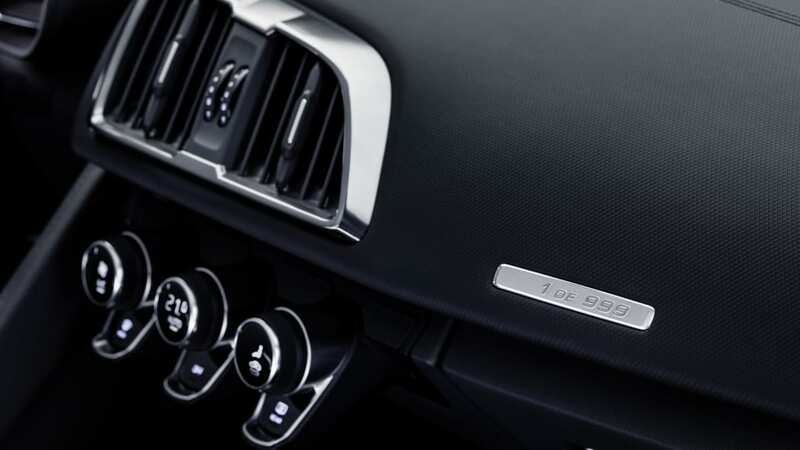 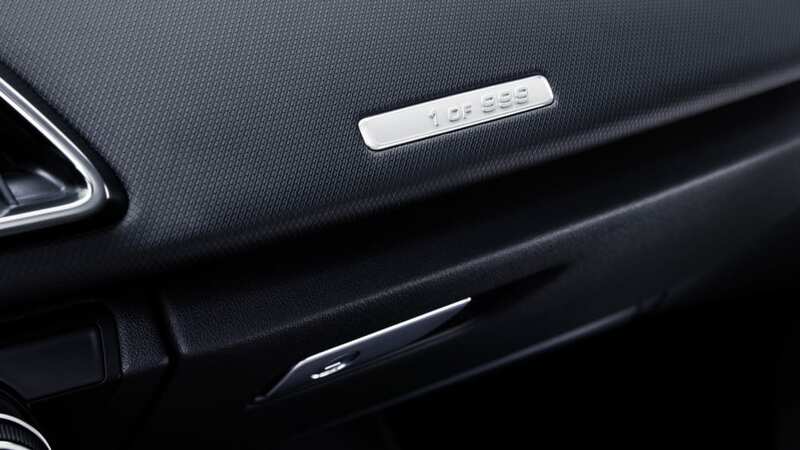 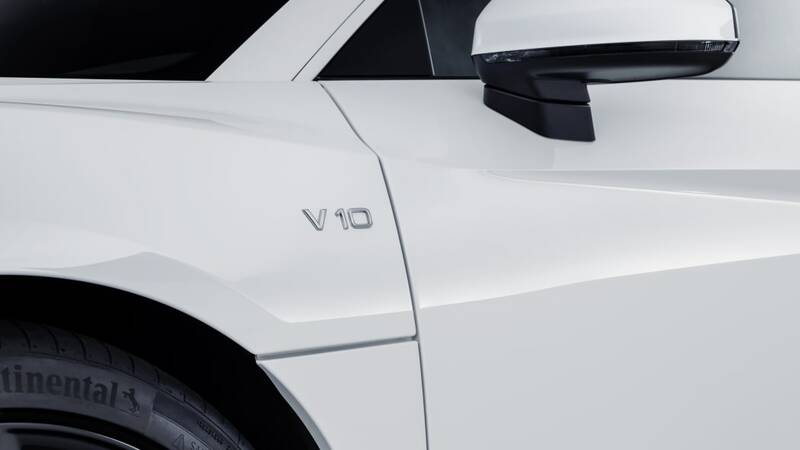 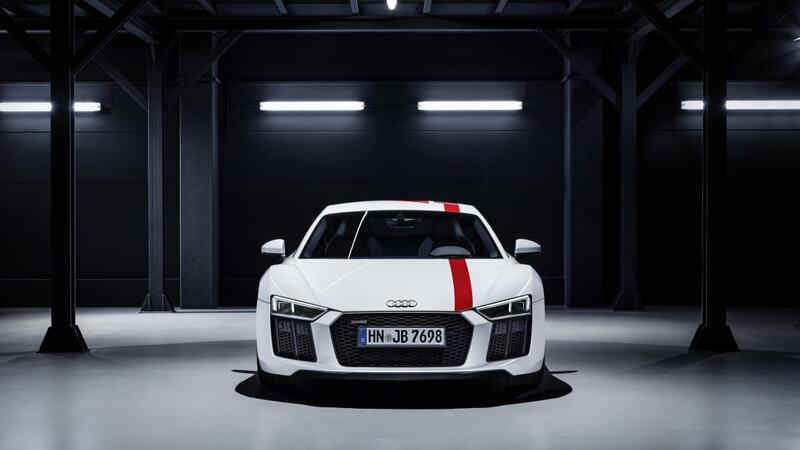 The first surprise is that it exists at all, this being the first rear-wheel-drive production Audi since the 1938 Audi 920 — long before Audi was the carmaker we now know. 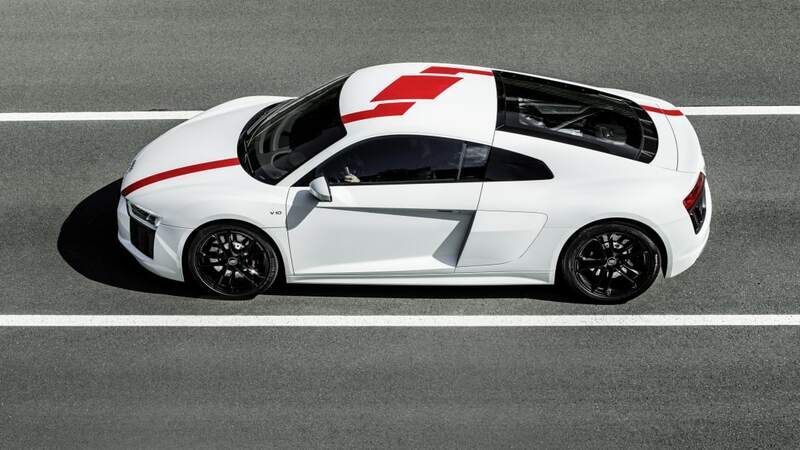 The second surprise is the price, the R8 RWS needing just $139,950 to take home, a figure that includes destination. 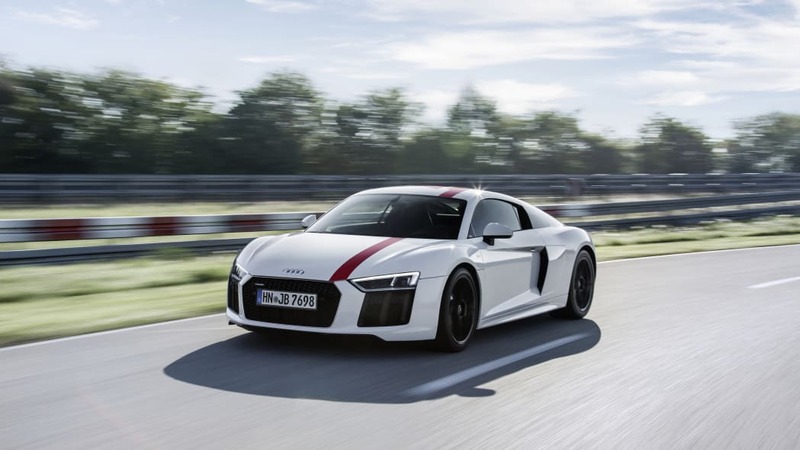 Stripping Quattro, complexity, and weight means stripping $26,200 from the price of the standard R8, while retaining every joule of the series car's 540-horsepower. 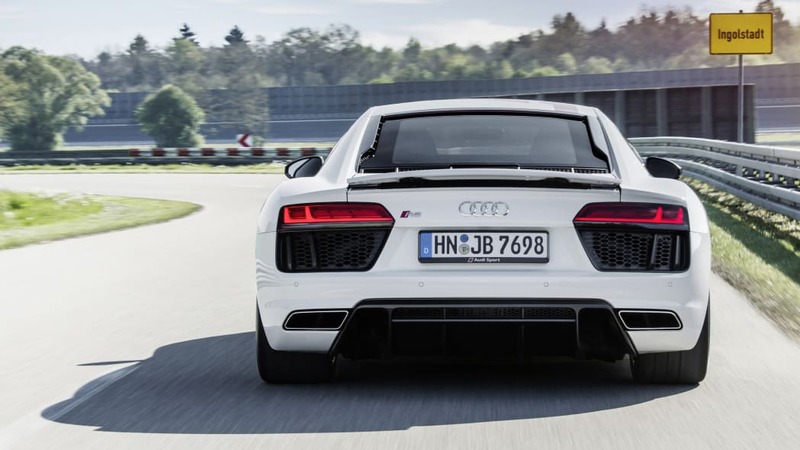 This also means you can get a mid-engined V10 for $4,700 less than the cost of a Porsche 911 GT3. 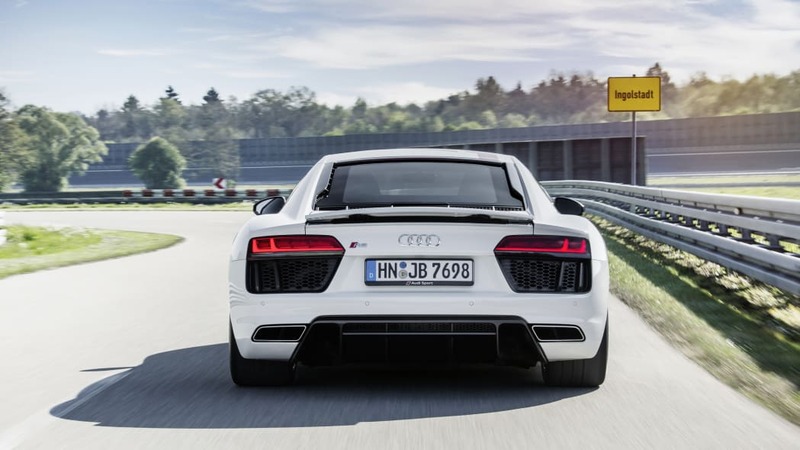 And in that case, who needs a twin-turbo V6 R8? 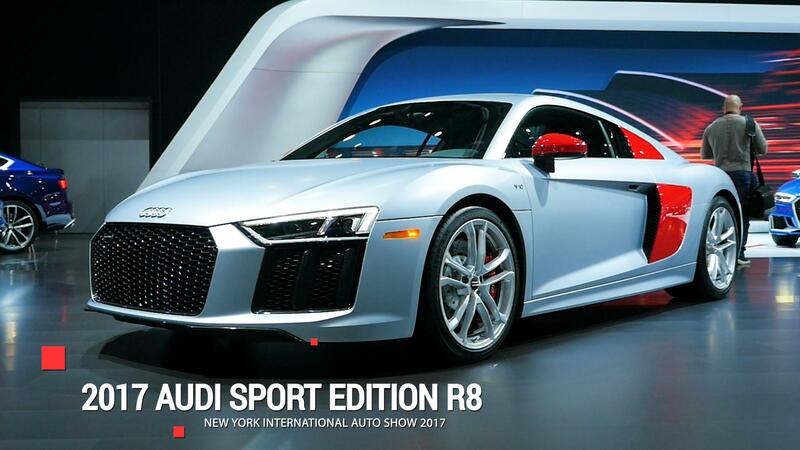 Prospective buyers won't want to spend too long debating the deal; Audi's only making 999 of the R8 RWS, just 320 of them headed to America. 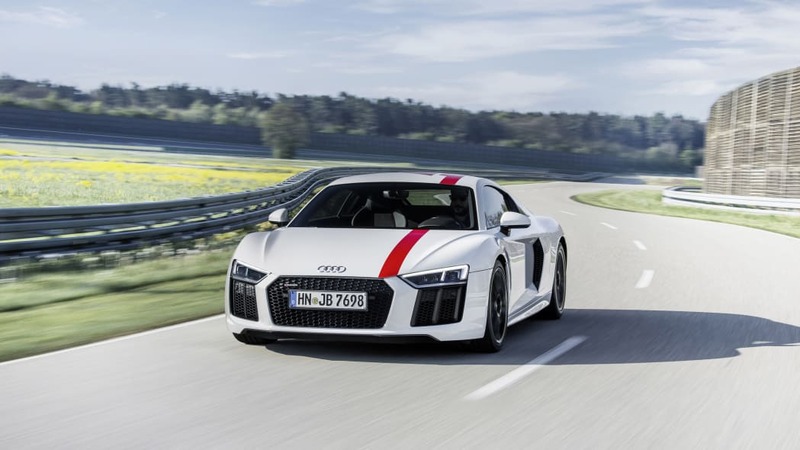 Other countries get the choice of coupe and convertible, U.S. versions will be coupe only. 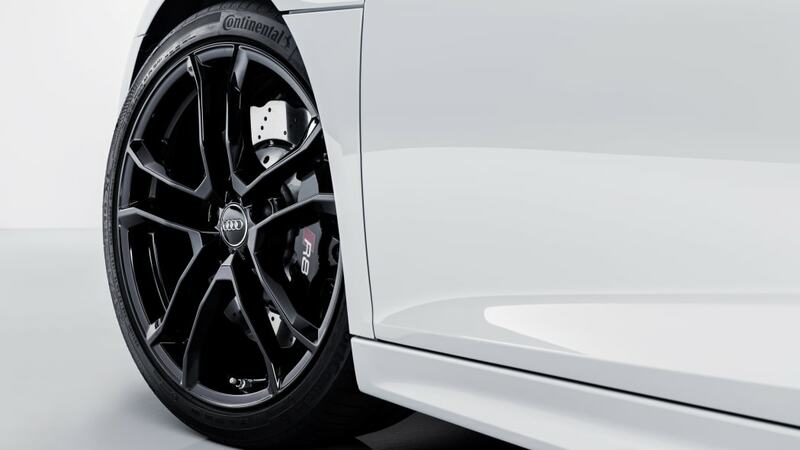 Spotters will be able to identify coupes by the gloss black upper side blade and body-colored lower side blade, matte black grilles, gloss black wheels, and optional red vinyl stripe. 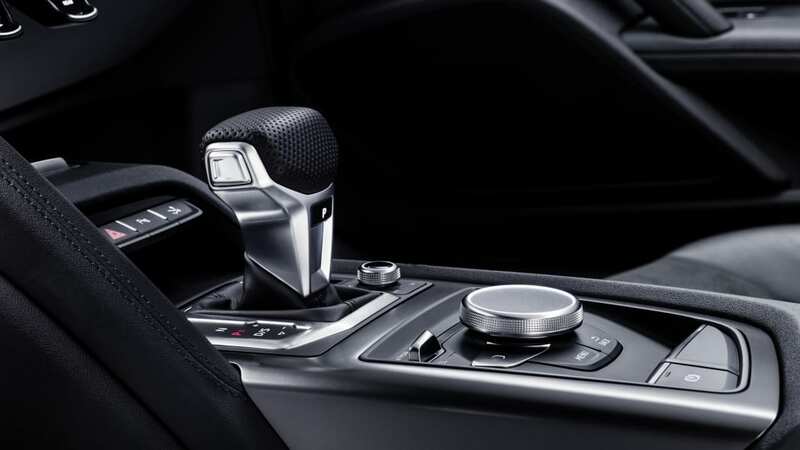 A more pointed driving experience comes courtesy of ten-percent stiff dampers and front roll bar, and recalibrated power steering on a fixed ratio rack — the normally optional dynamic rack isn't an option here. 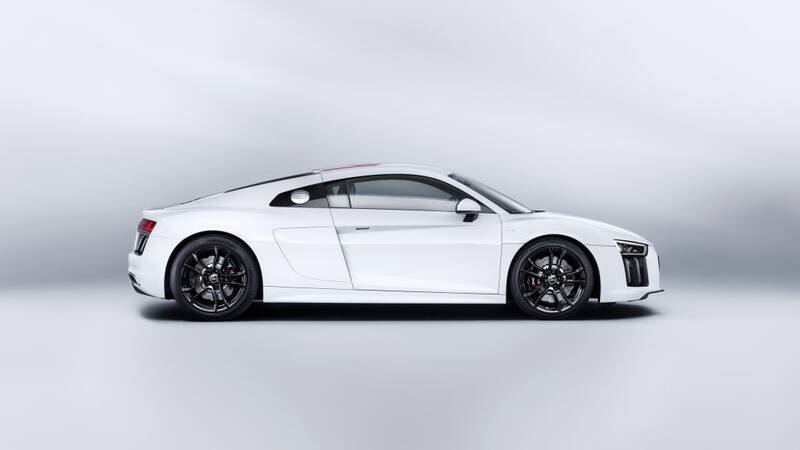 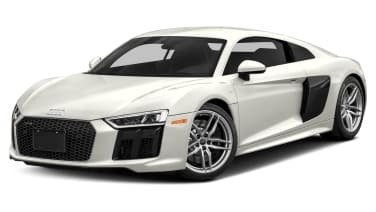 Reports quoted Audi as saying the R8 RWS eliminates 110 pounds from the standard R8, for a claimed weight of 3,505 pounds. 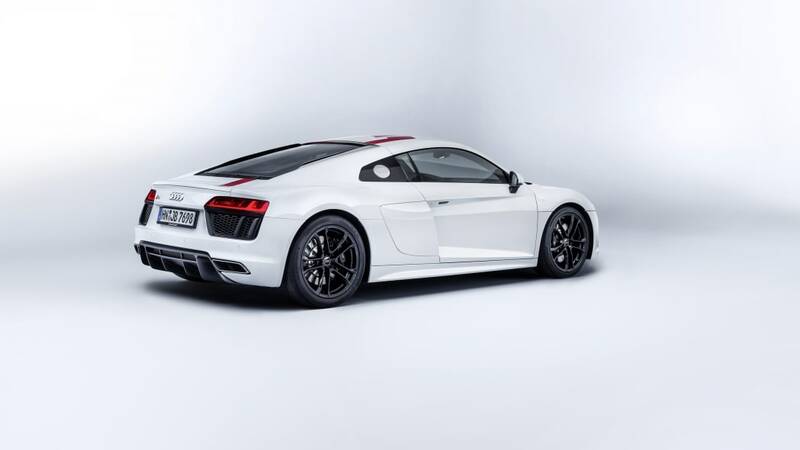 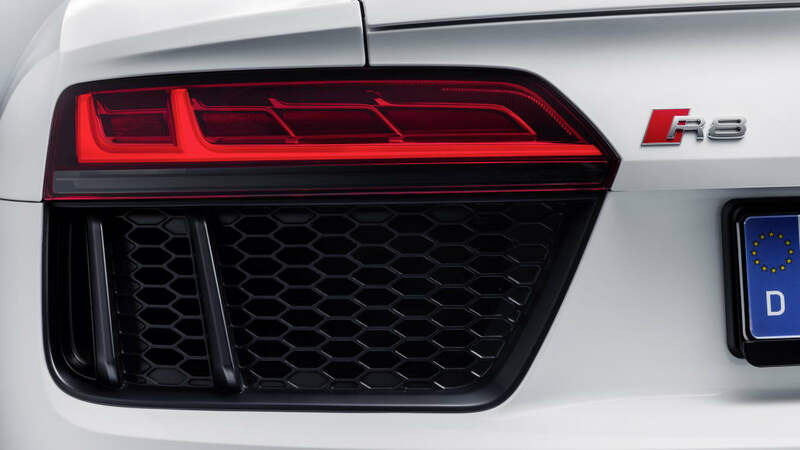 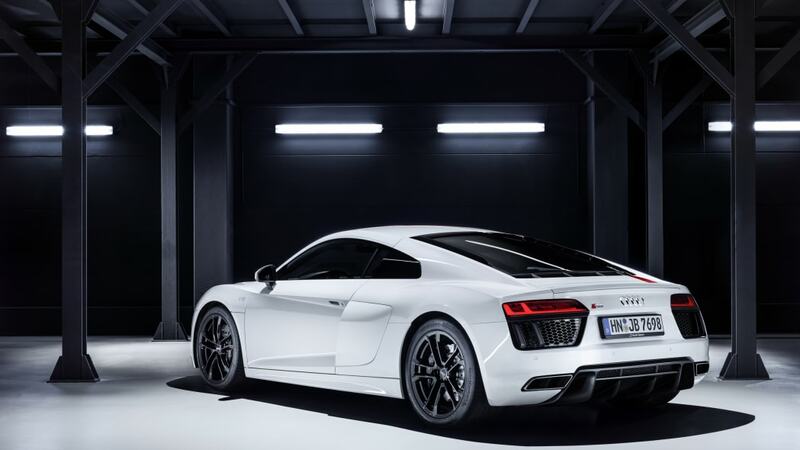 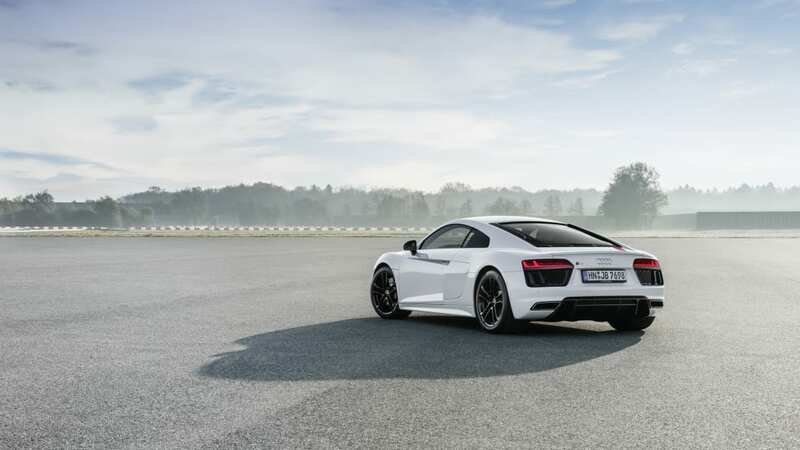 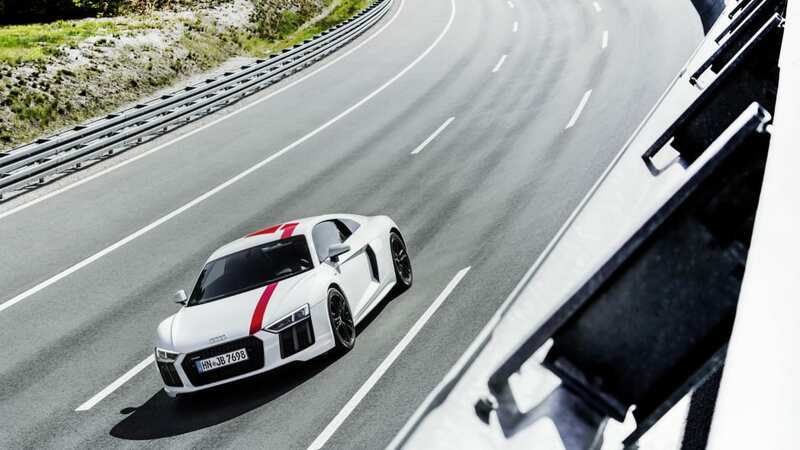 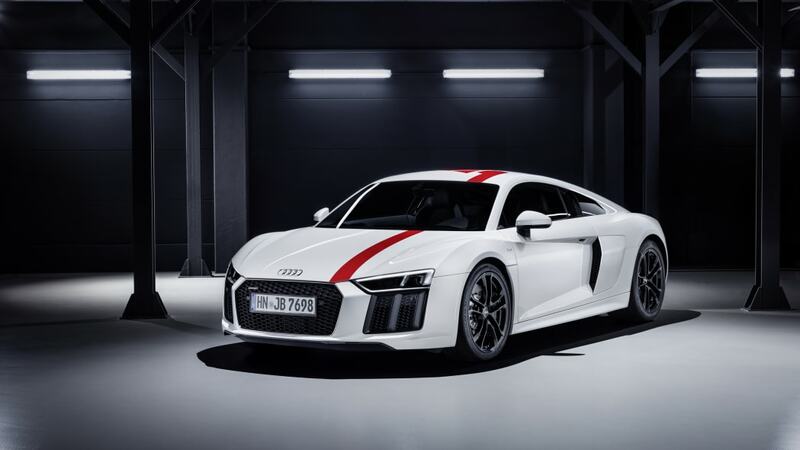 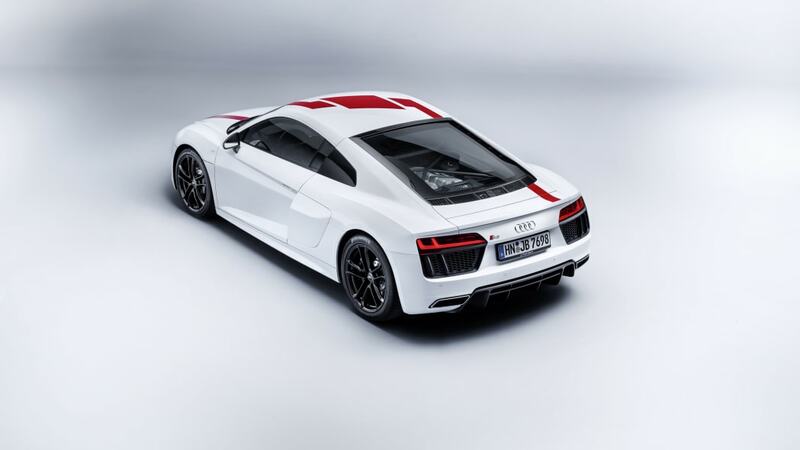 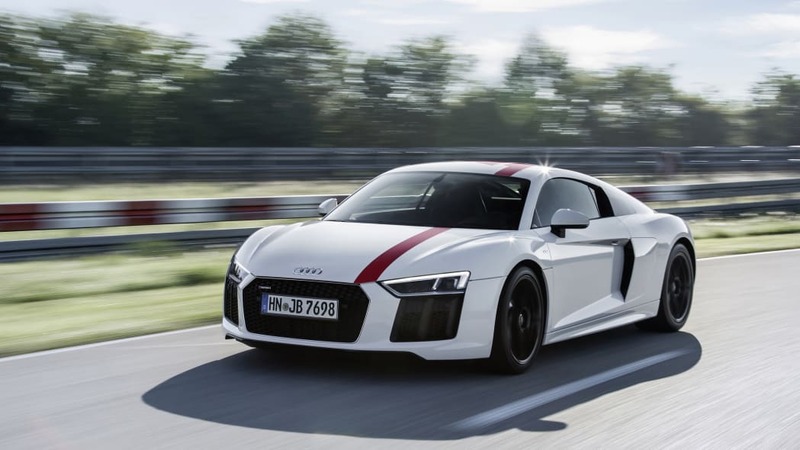 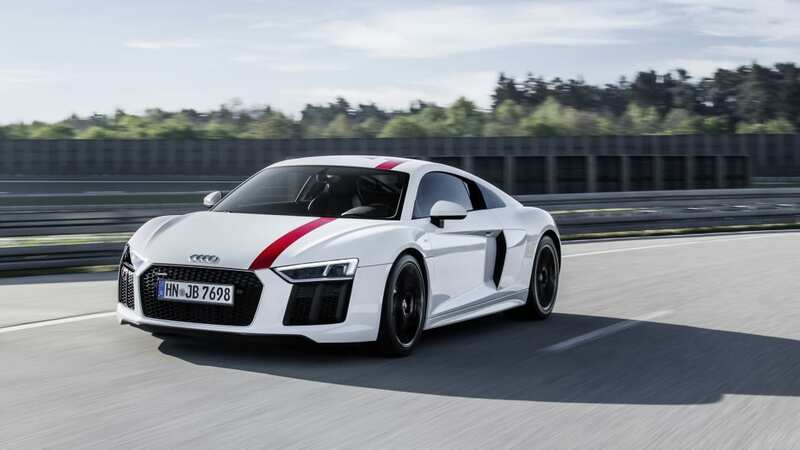 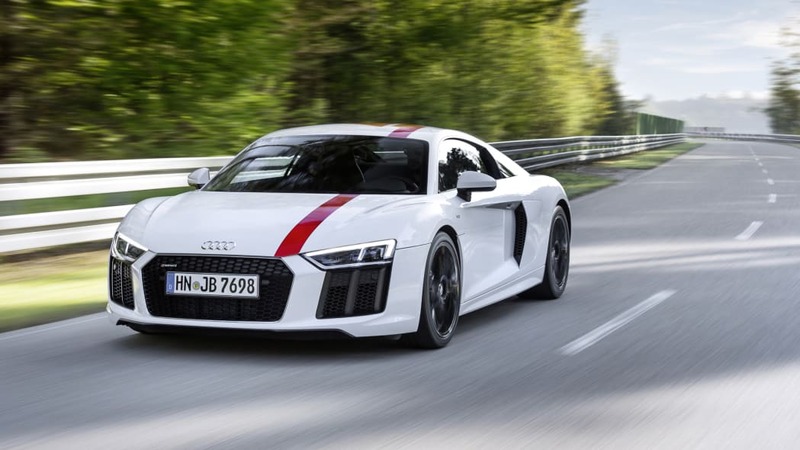 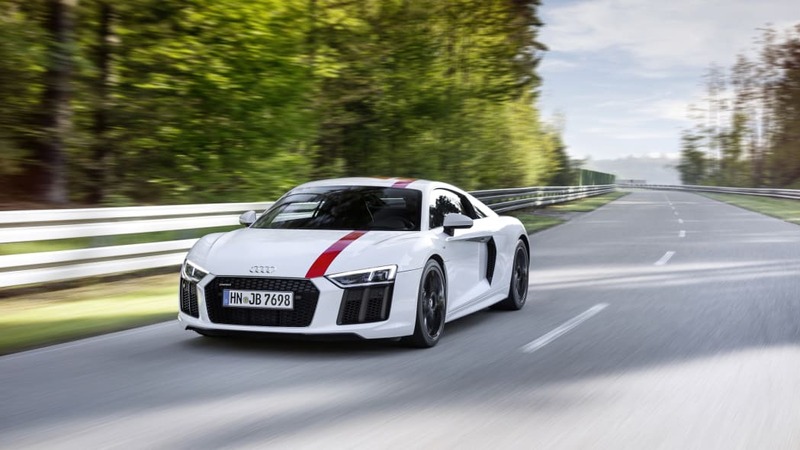 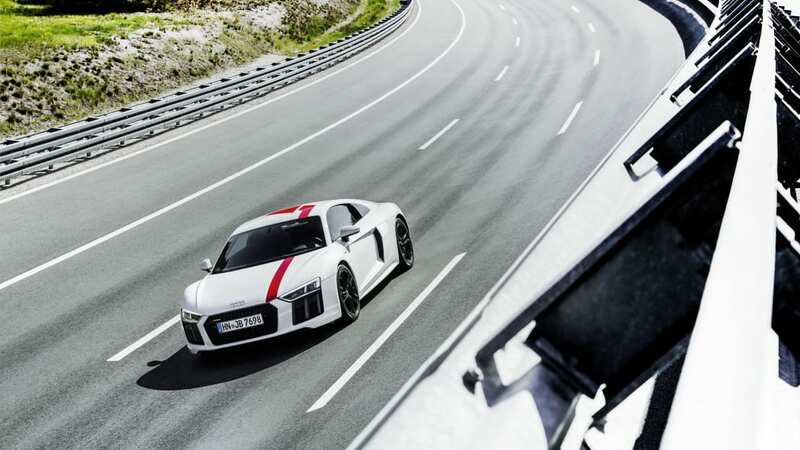 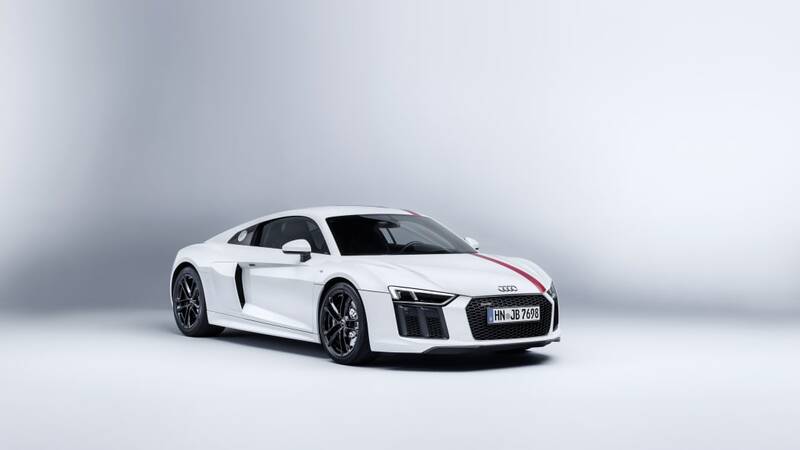 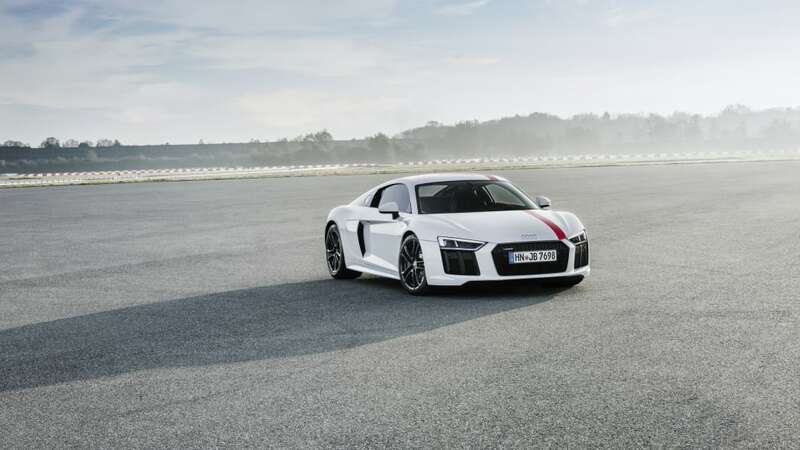 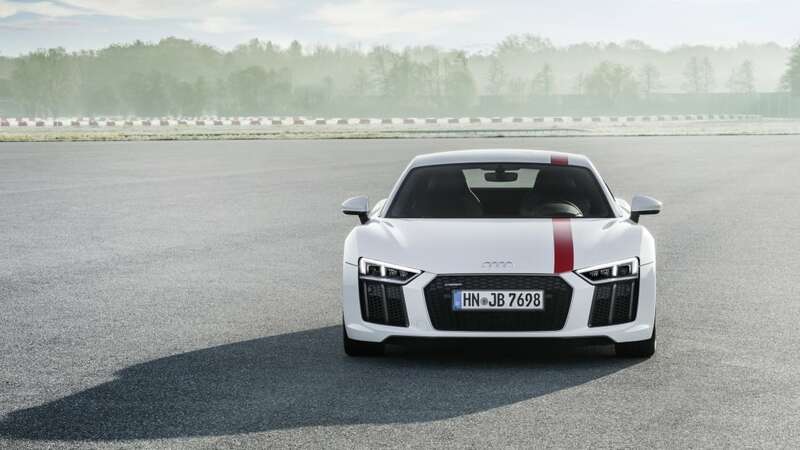 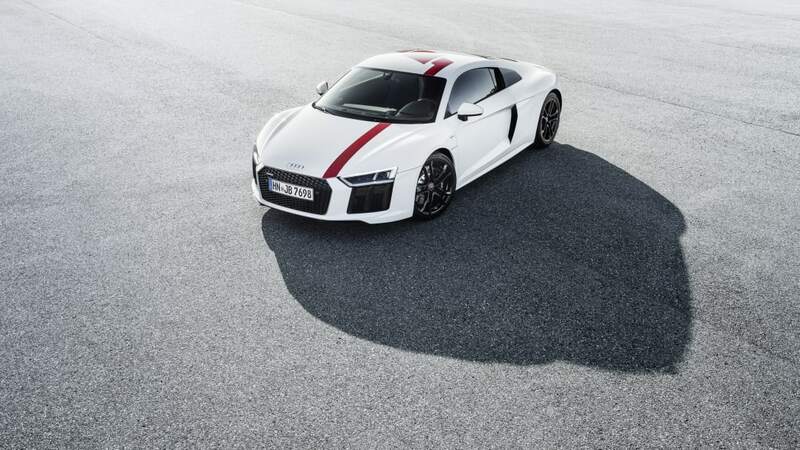 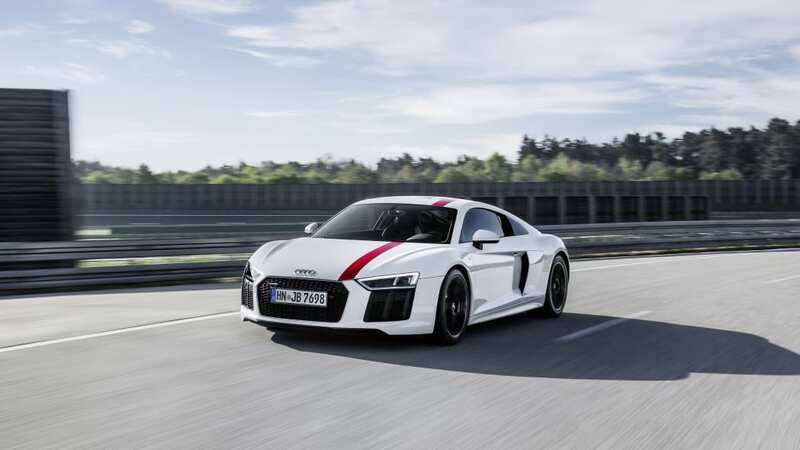 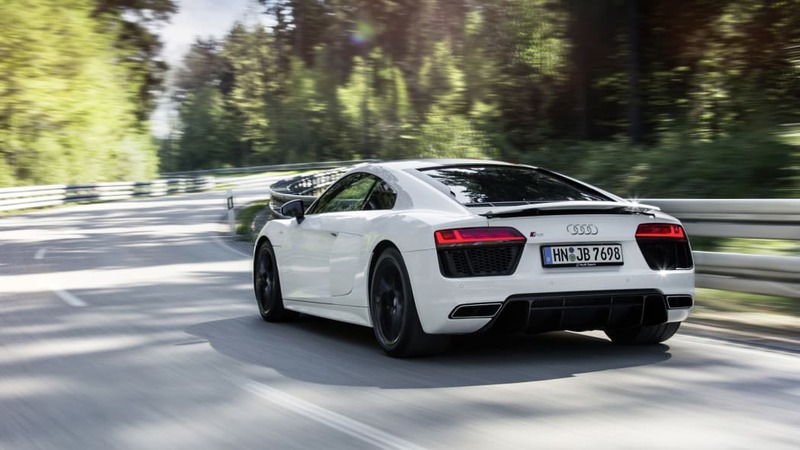 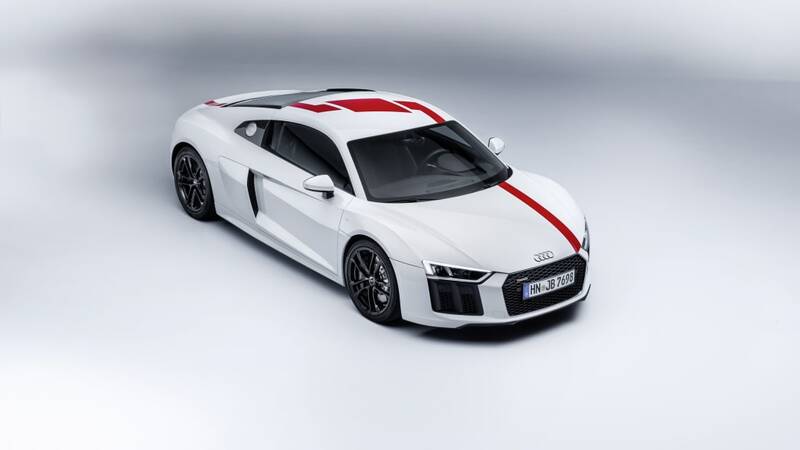 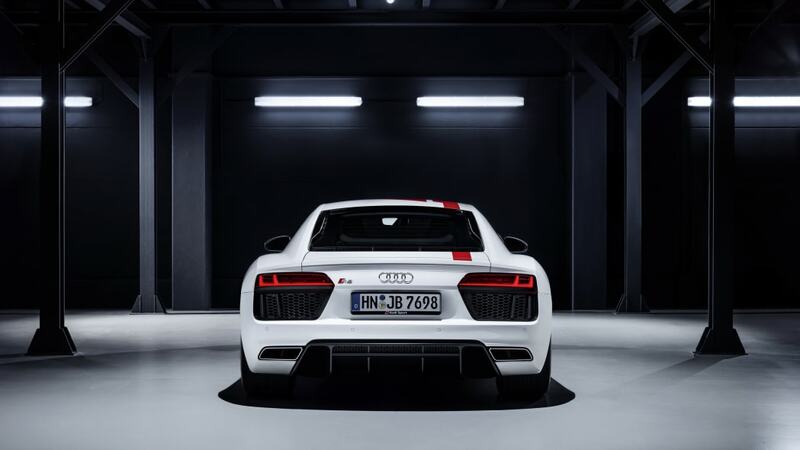 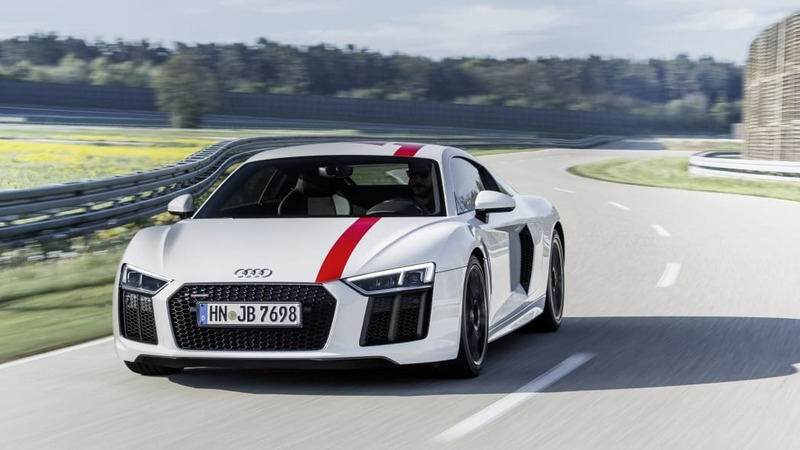 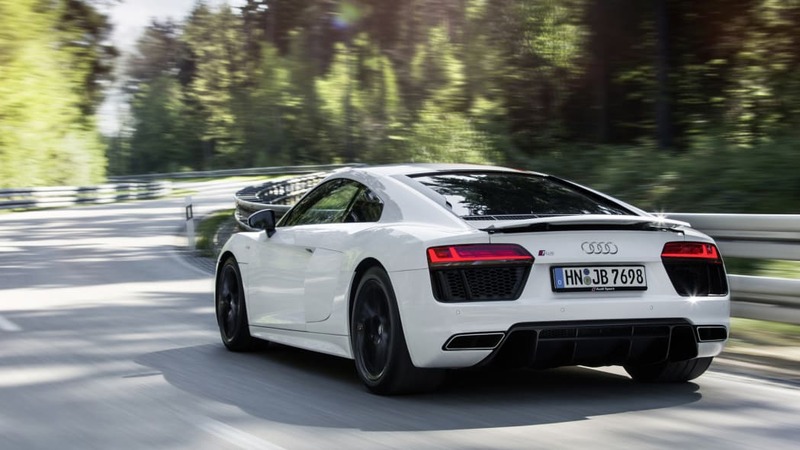 We don't know where that curb weight comes from, though; Audi's U.S. site claims the regular U.S. R8 rings in at 3,737 pounds, over at Audi Germany the R8 weighs 3,773 pounds. 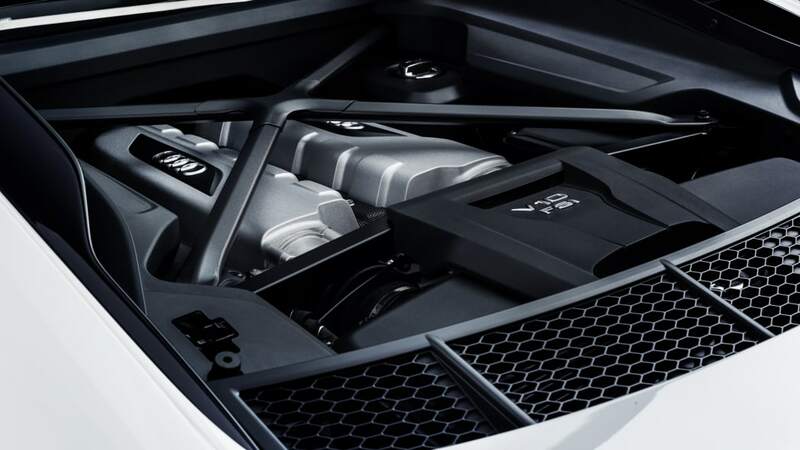 So either engineers were being modest, or "pounds" should be "kilograms," or some vital details sank while crossing the Atlantic. 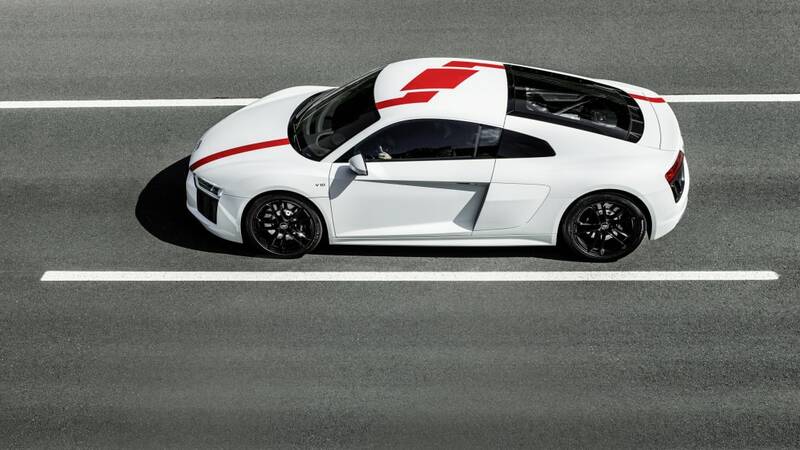 Not that we should lose the plot over a dollop of adiposity — what could be most important here is Audi's attempt to try on a new philosophy. 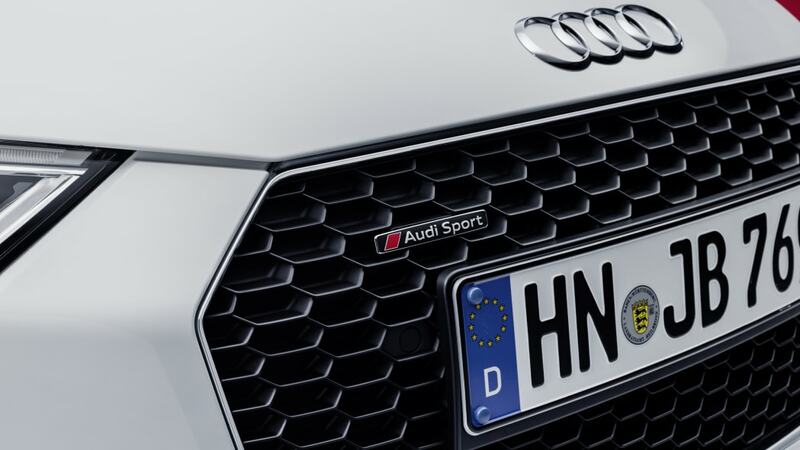 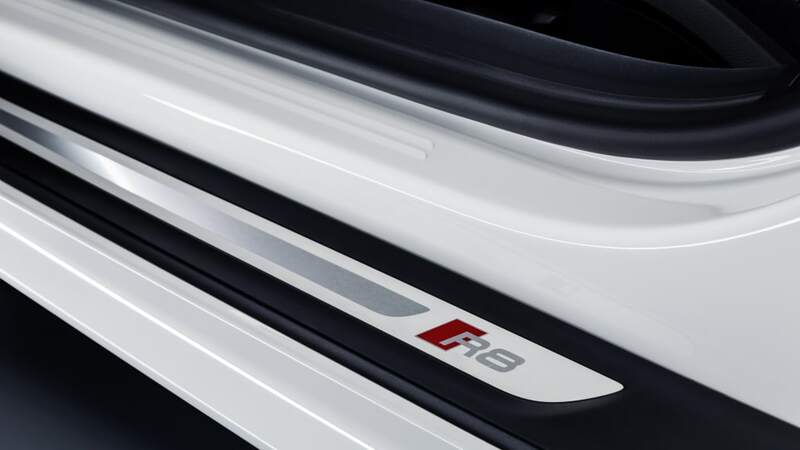 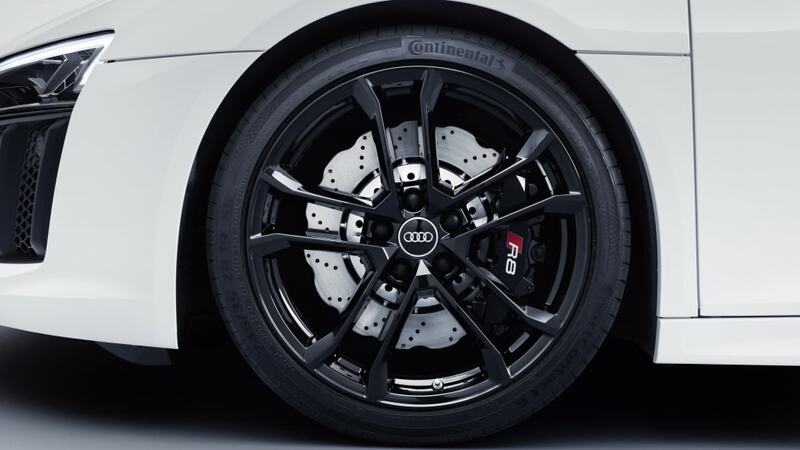 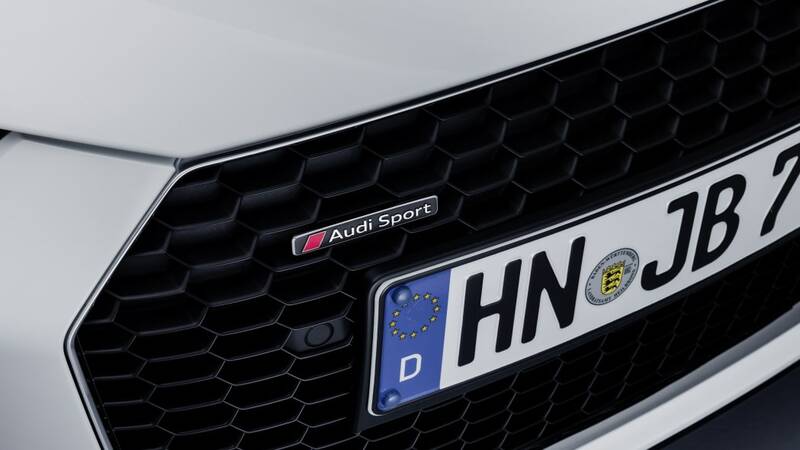 Former Audi Sport CEO Stephan Winklemann changed the division's name from the AWD-specific Quattro Gmbh, saying, "Quattro can be a company, but it can also be an option." 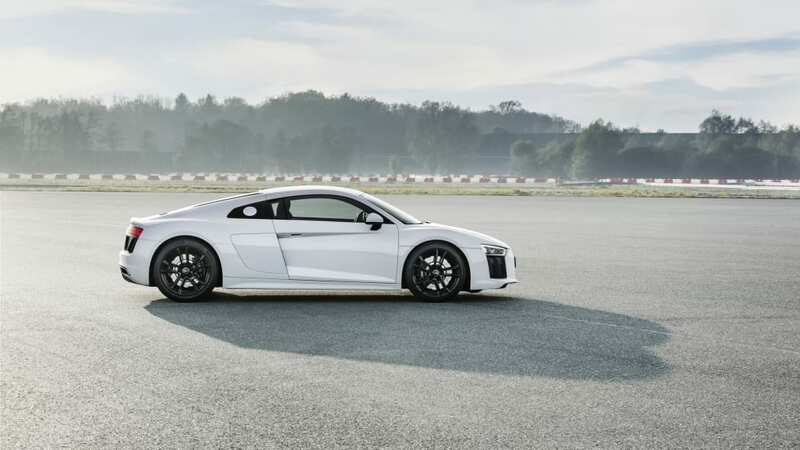 Winklemann left to oversee Bugatti, but an Audi spokesperson told The Drive that the R8 RWS tests the consumer market for more such products. 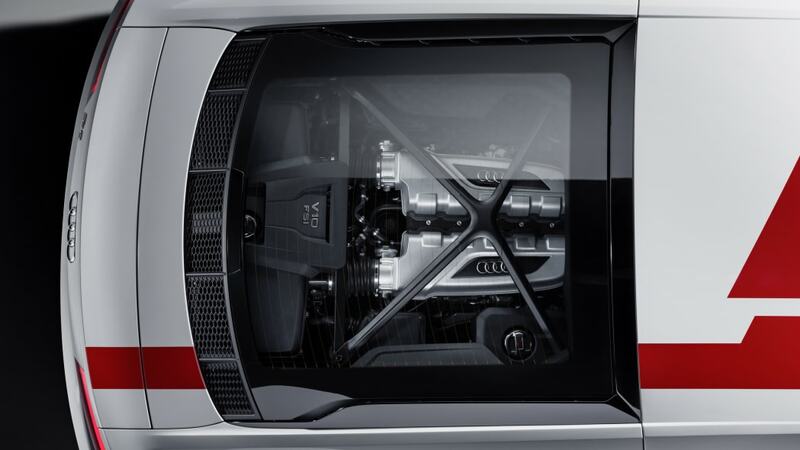 Shown enough enthusiasm, Audi Sport could do the same kind of drivetrain simplifying work on one or more RS models.